Learn how to build capacity for and create system change, drawing upon a diverse group of stakeholders to make improvements. Most of us want the same things from our communities. We want them to be safe from violence and illness; we want neighborhoods that are alive and that work well. And we would all like to have people who care for us and whom we trust. But how do we develop a community like that? Our belief is that communities are built when people work together on things that matter to them. In this section, we'll talk about what we mean by that, and explore our idea of how we can get there from here -- what might be called our "model of change" or "theory of practice." We'll start this section with some definitions that will help ground the ideas we are trying to get across. Then, we'll look at the advantages of collaborative efforts: why we believe it makes sense for people to work together to solve problems they share. Next, we'll look at key partners in community efforts, and then, we will describe the model of change that is the focus of this section. We'll supplement that model with principles and values that we believe should influence how community efforts unfold. Finally, we'll close with some broad recommendations for working together to help build healthier communities. By community, we mean a group of people who share a common place, experience, or interest. We often use this term for people who live in the same area: the same neighborhood, the same city or town, and even the same state or country. Finally, a community may be formed of people interested in the same things. For example, we may talk about the business community, the labor community, or the child advocacy community. Community health refers to the well-being of everyone in a community. It asks the question, "How healthy are all of the members of our community? Our children and adolescents? Older adults? The poor?" Collaborative partnerships are alliances to improve the health of a community. They encourage people to get together and make a difference. For example, an effort to improve education might involve school officials, youth, parents, teachers, business people, and non-profit staff and volunteers. Because these partnerships bring people together from all parts of the community, their efforts are more likely to be successful. Community capacity refers to the ability of community members to make a difference over time and across different issues. Capacity isn't a one-time thing; like learning to ride a bike, it's not something that disappears once you've experienced it. And like riding a bike, we get better the more we practice. For example, if a community that develops a successful collaboration for substance abuse decides later that rates of childhood immunization aren't high enough in their community, and they might also work effectively to improve those rates. By translating what they learned while developing the substance abuse coalition (for example, ways to recruit members or to work with the media) they should be able to do a good job and effectively improve the immunization rates. A community has demonstrated strong community capacity when it can bring about community changes over time and across concerns. Collaborative partnerships are a powerful way to improve our communities. To improve our communities, we must all work together to solve problems. One reason for this is that issues that matter to local people, such as child health, academic success, or substance abuse, don't fit into neat categories. The things that make one issue likely to become a problem usually affect other things as well. Defining our problems as being connected to other issues (and people) helps us to see the many ways in which we are linked together. For example, take the case of a mother and father who both hold down several low-paying jobs. They don't have much time for their children, and they may smoke cigarettes to cope with all of their stress. Their children are exposed to second-hand smoke and other health hazards, such as cockroaches and lead paint in their poor housing. What are the results? For the children, spending less time with their parents may hurt their early development. Exposure to hazards increases their risks for chronic disease such as asthma. As a whole, the situation makes it more difficult for the children to succeed at school. Finally, the probability of a good job is lowered dramatically for the parents, their children, and for their children's children. It's important that the collaboration is as inclusive as possible. This means individuals from the different parts of the community for example, representatives from schools, business, and the government. It also means representatives from different levels for example, representatives from the neighborhood, the county, the state or province, and even the broader region or nation. Let's look at each of these partners more closely. People from each of these areas will be able to promote child health in important, unique ways. By working together, a strong partnership will exist in the community. The second partner in a broad collaborative partnership is support and intermediary organizations. Some local, regional, and statewide organizations can provide technical assistance for community partnerships. These intermediary organizations can help community partnerships build on the "core competencies" that are necessary for working on community issues. For example, a university research center might give advice on such topics as community assessment, strategic planning, advocacy, leadership development, and evaluation. Intermediary organizations can also help assess what the partnerships need and provide them with that support. For example, state and county health departments can assist community groups by developing health data systems that provide county-level data (for example, the percentage of children without proper immunizations). They and other related support organizations can also offer other information useful for making decisions. Finally, grantmakers and governmental agencies are also important members in these broad collaborative partnerships. That's because foundations and governmental agencies can help create the conditions for community partnerships to be successful. How do they do this? Certainly, by providing the financial resources needed by partnerships and intermediary organizations. This is the most obvious of the ways in which funders contribute. Many groups rely strongly (if not completely) on funding from grantmakers or the government to survive. By giving a group some funding, funders actually make additional funding more likely by adding to the group's credibility. Grantmakers can use requests for proposals (RFPs) as a way to bring groups together around a common purpose. And, in doing so, they can forge ties among different people working in the same community. Finally, grantmakers and governmental agencies can also help make outcomes matter by awarding additional funding if groups attain their objectives. With an understanding of all of these parts, let's look at how these partners can work together to improve their communities. This model is meant to be fluid and interactive. For example, an understanding of the community context and planning should guide community action, which should affect community and system change, and so on. This model is meant to be a continuous cycle. For example, improvement in more distant outcomes, such as reduced rates of violence, should lead to a renewed cycle of planning and action for these or other issues that matter to members of the community. The bottom line? There isn't a day when community work ends. In a healthy community, working together for the good of the community is a constant part of everyone's lives. With these ideas in mind, let's look at the individual parts of this logic model or theory of action. Within this context, people may come together to identify issues that matter to them, such as transportation, job opportunities, affordable housing, or substance abuse prevention, to give just a few examples. They may then document the health or development of the community with community-level indicators, which are used to measure the extent of problems at the local level. For example, records of assaults at school are one community-level indicator of violence in the community; nighttime single-vehicle car crashes are often used as an indicator of the level of substance abuse in a community. Later in the life of the community group, these can serve as benchmarks for detecting whether or not they are getting closer to their goals. For example, they can look at the level of violence and see if it has decreased since the partnership has been in existence. With an understanding of the context, the group can move forward with planning. Collaborative planning is a critical and ongoing task that brings together people and organizations with different experiences and resources. Together, they clarify or develop the group's vision, mission, objectives, strategies, and action steps for bringing about changes in the community. The planning process should be followed by taking action. If the plan of action was thorough, this part should generally go fairly smoothly. That's not to say there aren't bumps in the road. Sometimes, action runs into some pretty serious resistance. Even a relatively harmless effort to fix up low-income housing may be resisted by local officials, who delay needed construction permits. Similarly, efforts by a community partnership to take money from law enforcement and put it into substance abuse prevention will probably be opposed by the police and their allies. This opposition might take many different forms. For example, the police might deny requests for information; others might cast doubt on the capability of members of the partnership to get the job done. How can a community organization overcome this or other types of opposition? There are many responses a group might make. The best one will depend on your particular situation. The goal of the action plan is to bring about community and system changes. By community change, we mean developing a new program (or modifying an existing one), bringing about a change in policy, or adjusting a practice related to the group's mission. System changes are similar to community changes, but take place on a broader level. A business might implement its child-friendly practices throughout its operations nationally. Another example is a change in grantmaking policy to award cash incentives to grantees that reach their objectives. When these community and system changes occur, they should, taken together, change the environment in which a person behaves. This is sometimes referred to as increasing protective factors and/or decreasing the risk factors of community members. What are risk and protective factors? They are aspects of a person's environment or personal features that make it more likely (risk factors) or less likely (protective factors ) that she will develop a given problem. Often, risk and protective factors can be considered flip sides of the same coin. For example, if drugs are readily available in your community, then easy accessibility is a risk factor. If they are very difficult to find, then that lack of drugs is a protective factor. The intended effect of environmental change is widespread behavior change of large numbers of people in the community. Improvements in more distant outcomes, such as reducing violence or increasing employment rates and family incomes, are the ultimate goals of collaborative partnerships. As we discussed earlier in this section, data on community-level indicators can help you determine just how much progress you have made towards your goals. Information to see if efforts are working in different areas can be organized together in an annual community "report card." This can let people throughout the community know how things are going, including information on community-level indicators, important community changes, and success stories. Before we go on, it may be helpful to look again at this process as a whole. Remember, this process is an interactive and continuous cycle. In all the different parts of our lives, some things work, and others don't. Why is that? Think for a moment about a school. Students have the same framework to work in each grade has the same learning objectives, for example. Still, some students (and schools) succeed and others fail. What causes that difference? It's probably a combination of things -- support at home, a good teacher, and good (or not so good) materials to use. Quite simply, within a framework that almost all students have, different events often mean the difference between success and failure. In the last few paragraphs, you have seen what we believe to be a workable model for building healthier communities. But like that school, what you've read is just a framework. And different events that happen within the framework make it more or less likely that a community group will succeed. For improving the health and development of a community, we have found seven features that seem to be very important in determining whether a community effort fails or succeeds. In our research, each of the following "factors" has been related to the rate of community change. We'll look at them one by one. Having a targeted mission is one of the most important factors in whether or not a community group is effective. A mission statement is your organization's statement of purpose; it tells what the organization is going to do and why. For example, an organization's mission might be: "Our mission is to decrease adolescent pregnancy and sexually transmitted diseases in Dade County through a community-wide effort which will provide education and support to young people and their families." When partnerships develop a plan of action, they are more successful bringing about community change and improvement. Involving competent leaders with a clear vision helps change to occur more rapidly. Such leaders see community partnerships as a way to mobilize the community, draw out people's strengths, and celebrate members' accomplishments. These leaders are likely to head effective collaborative partnerships. The downside of this, of course, is that when such leaders leave an organization, groups accomplishments often suffer. Finding a way to ease transitions and develop leadership within the group is an important factor in having groups that have long, successful lives. One thing that is clear is the need for people who act as catalysts--community mobilizers who will really get things going in the community. They are the ones who will start the ball rolling on the actions that the group decides to do. By hiring or recruiting community mobilizers, groups consistently make more changes happen. To know whether a community group's efforts are making a difference, it is important that the group documents efforts and results. Such information about the group's accomplishments should be used to improve the group's ongoing efforts. Documentation should occur for intermediate outcomes, such as community and system changes. Tracking these changes, as well as the groups' longer-term goals, can help the collaborative partnerships understand, celebrate, and improve their overall efforts. Good leaders work to attract competent people with skills that complement those of other people in the organization. By doing so, team members grow and become stronger in their work. Outside help, which may take the form of technical assistance, can be a breath of fresh air for your organization. That's because the core competencies necessary for community organizations often transcend the variety of targeted missions and specialties people work in. For example, action planning will be important to community work on environmental advocacy, child abuse, mental health, or almost any other community issue. The goal of technical assistance should always be the same: to build the community's ability to take care of the things that matter to its members. This website is an example of this kind of assistance. The Community Tool Box contains over 100 sections that can support technical assistance efforts. Finally, grantmakers and governmental agencies can help those they support by clearly stating and rewarding desired results. For example, a foundation in Kansas (U.S.A.) announced that continued funding would be based on evidence of progress. The result was that the amount of community change increased dramatically. This same grantmaker now uses bonus grants to encourage progress. Throughout this section, we have talked about the three groups who are the important players in collaborative partnerships: local members of state and community partnerships, support organizations, and grantmakers and governmental agencies. Much of the decision-making and work must happen within the communities themselves. However, all of these groups can work together and help create conditions under which it is more likely that community efforts will be successful. Based on the model we discussed above, we propose ten specific recommendations to assist people who are trying to change their communities for the better. 1. Working with community partnerships, grantmakers and governmental agencies should develop a social marketing plan to promote involvement in community work. The marketing plan should help convince community members that working together to solve public problems should become an important part of their daily lives. The messages should contradict the idea that the community can't solve its own problems. The plan should focus on encouraging community involvement. Messages for different members of the community should be delivered in different ways. For example, messages to teenagers should be delivered differently than messages to older adults. The plan should include a way to communicate the good things going on. Success stories and profiles of people who have done fantastic work should be shared with the community. The social marketing campaign should use different methods of communication to reach the greatest number of people. For example, it might use posters, notes on the Internet, and editorials in the local newspaper, to give just a few examples. 2. Develop partnerships where people can work together to improve their community. Grant funds should be directed towards broad community partnerships. By having a broad partnership, the community will have a structure that is strong enough to make a real impact on different community problems. Partnerships should involve both people who have power and those most affected by the issue. Many different ways in which people can be a part of the partnership should be provided. Grantmakers should try to invest in the same place and permit work across the normal boundaries. For example, it's often the case that one group in the community will receive a grant to prevent substance abuse, another will receive a grant to improve education, and so on. We suggest grantmakers work together to offer larger grants to community partnerships that can work on several of these interrelated issues at the same time. 3. Provide information to help focus efforts on issues with the greatest effect on community health and development. Collaborative partnerships should develop objectives based on two things: the level of community problems (i.e., the statistics) and what members of the community find important. 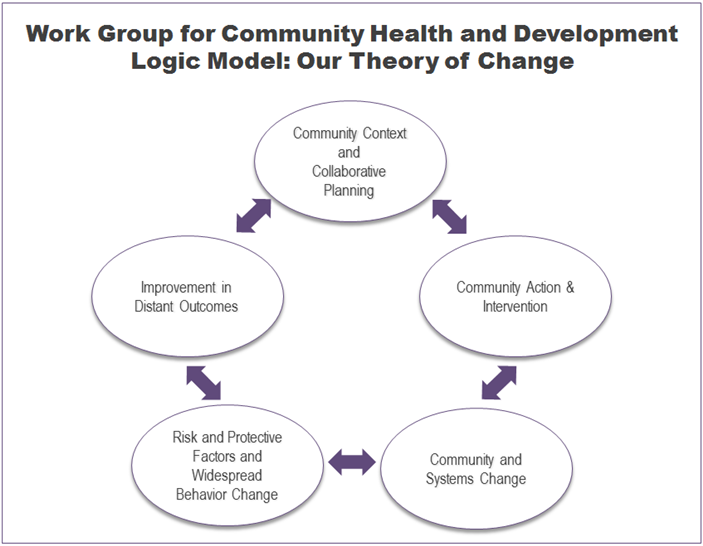 Support organizations should develop a model of change (such as the one outlined in this section) to help guide community work. 4. Support action planning to improve the community. Planning should begin early and never stop. Annual action planning retreats can renew the group's efforts and be supplemented by regular adjustments. When something works, its use should be widely promoted. For example, a "bag it" program that allows young people to call in orders for contraceptives and have them discretely wrapped in a paper bag might increase contraceptive use dramatically among at-risk youth in a small community. If that proves to be the case, that program should be promoted in newsletters and through word of mouth, so that similar organizations can do the same thing. It's important to remember, though, that programs often need to be adapted to fit local conditions. The focus of action planning should be on transforming the environment to make behaviors than promote health and development more likely to occur. By gathering pertinent information about risk and protective factors, partners in the collaborative effort can better focus their efforts on new programs, policies, or practices that will cause positive changes in the environment. Some of the community changes should try to reach the whole community; others should be targeted at people who are at a higher risk. 5. Provide investments in collaborative partnerships that are large enough and last long enough to make a difference. Fund community partnerships long enough to make a difference (for example, for 5 to 10 years). Provide resources to hire community mobilizers to act as catalysts in the community. Many larger system changes your organization will work for can take a long time to occur. Be sure to develop and celebrate "small wins" milestones that will regularly reward everyone's efforts. This will help keep spirits up as you work to reach your goals. Promote the sustainability of successful community partnerships. Groups that have proved their worth should be rewarded with continuing efforts by funding partners. 6. Use a variety of methods to build capacity for doing community work. Offer many opportunities for people involved in community work to meet and learn from each other. Use distance education to give people the opportunity to learn with others doing similar work in different places. Use the Internet to distribute "how-to" information for developing the core competencies of community work. Link newer community partnerships with those more experienced, and connect established leaders with newer generations of leadership. 7. Document the process of community and system change to improve community work. Leaders of initiatives should work with representatives from support organizations to develop meaningful ways to present and use data on community and system change. 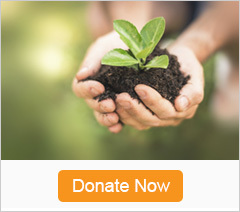 Honor organizations and individuals that bring about significant changes in their communities. Use data on community and system change to make adjustments in the group's action plan. Researchers should examine trends in community and system change to identify the factors that might affect community change. Use an annual state-of-the-partnership report to encourage accountability of members of community partnerships. Establish and report on intermediate and more distant outcomes--such as high rates of important community and system changes for community-determined goals. Make renewal of community investments (for example, the continuation of a grant) conditional on evidence of progress by the group. Award bonus grants to encourage progress and outstanding accomplishments. Award outcome dividends to reward improvements in the bottom line. For example, if a community has fewer teen pregnancies because of the efforts of a local coalition, give the coalition some of the money saved by the state by not having to pay for the teens' costs. For example, money has been saved in hospital bills the state would have paid for uninsured parents, as well as the costs of welfare for teen parents, and their children, and so on. 9. Develop collaborative partnerships to increase the support for people working to improve their communities. Develop broad collaborative partnerships among diverse organizations that truly represent the entire community. Members of the partnership should share the risks, resources, and responsibilities for community improvement. Employers should modify their structures to support involvement in public problem solving. For example, corporations might have a flextime policy that allows employees to volunteer in their community. Helping get resources that few communities could access by themselves. 10. Future research should help understand and improve the factors that affect community health and development. Examine whether and how lessening poverty and improving education affect community-level indicators of health and development. Examine the conditions under which community and system change are associated with improvements in long-term goals. Let people know what works--what are promising practices for building healthier communities. This can be done through a variety of different media (such as print and broadcast media, professional associations, and the Internet). A healthy community is a form of living democracy: people working together to address what matters to them. As citizens, we have a duty to shape the basic conditions that affect our lives with others in transforming communities, we are guided by shared values and principles that bind us in common purpose. Building healthier communities blends the local and the universal, the particular and broader contexts. Such efforts are grounded locally: the family, the neighborhood, and other familiar communities. To be effective, however, we must also bring diverse groups of people and organizations together to transform the broader conditions that affect local work. This requires courage, doubt, and faith: the courage to trust those outside our immediate experience, the doubt to question what is, and the faith to believe that together, we will make a difference. The work of building healthier communities takes time: our time, that of our children, and that of our children's children. A Jewish proverb counsels: "You are not bound to finish the work, but neither are you free to give it up." In our emerging ties across place and time, we join others in an attempt to create environments worthy of all our children. Fawcett, S. B., Francisco, V. T., Hyra, S., Paine-Andrews, A., Schultz, J., Russos, S., Fisher, J., & Evensen, P. (1998). Building Healthy Communities. Invited Address to the Kansas Conference on Health and Its Determinants. Sponsored by the Kansas Health Institute and the Kansas Health Foundation. Wichita, KS. Tarlov, A., & Peter R. St. (Eds.) Society and Population Health. New York, NY: New Press. Aguirre, M. (1996). Community-based approaches for the prevention of alcohol,tobacco, and other drug use. Annual Review of Public Health, 17, 337-358. Tarlov, A., & Peter, R. St. (Eds.) Society and Population Health. New York, NY: New Press. Barker, R. (1968). Ecological psychology. Stanford, CA: Stanford University Press. Bernstein, J., & Michel, L. (1997). Has income inequality stopped growing? Monthly Labor Review, 120 (12), 3-16. Brofenbrenner, U., McClelland, P., Wethington, E., Moen, P., & Ceci, S. J. (1996). The state of Americans: This generation and the next. New York, NY: The Free Press. Carroll, J. (1997). Neighborhoods and citizenship. Lecture at the Boston Public Library, Boston, Massachusetts. Broadcast by C-SPAN television network. November 15, 1997. Citrin, T. (1998). Topics for our times: Public health--community or commodity? Reflections on Healthy Communities. American Journal of Public Health, 88(3), 351-352. Fawcett, S. B., Francisco, V. T., Hyra, D. S., Paine-Andrews, A., Schultz, J. A ., Russos, S., Fisher, J.L., & Evensen, P. (1998). Building Healthy Communities. Invited Address to the Kansas Conference on Health and Its Determinants. Sponsored by the Kansas Health Institute and the Kansas Health Foundation. Wichita, KS. Fawcett, S.(1991). Some values guiding community research and action. Journal of Applied Behavior Analysis, 24, 621-636. Fawcett, S. (1999). Some lessons on community organization and change. In Rothman, J. (Ed. ), Reflections on community organization: Enduring themes and critical issues. (pp. 314-334). Itasca, IL:F.E. Peacock Publishers. Fawcett, S., Paine, A., Francisco, V., Schultz, J., Richter, K ., Lewis, R., Williams, E., Harris, K., Berkley, J., Fisher, J., & Lopez, C. (1995 ). Using empowerment theory to support community initiatives for health and development. American Journal of Community Psychology, 23(5), 667-697. Fawcett, S., Lewis, R., Paine, A., Francisco, V., Richter, K., Williams, E. , & Copple, B. (1997). Evaluating community coalitions for the prevention of substance abuse: The case of Project Freedom. 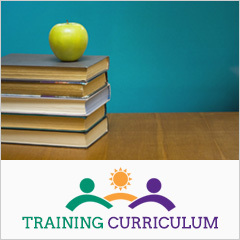 Health Education and Behavior, 24(6), 812-828. Fawcett, S., Paine, A., Francisco, V., Schultz, J., Richter, K., Berkley, J., Fisher, J., Lewis, R., Lopez, C., Russos, S., Williams, E., Harris, K., & Evenson, P. Evaluating community initiatives for health and development. In I. Rootman, McQueen, D. etal. (Eds.) Evaluating health promotion approaches. Copenhagen, Denmark: Work Health Organization-- Europe. Feinstein, J. (1993). The relationship between socioeconomic status and health: A review of the literature. Milbank Quarterly, 71, 279-322. Francisco, V., Paine, A., & Fawcett, S. (1993). A methodology for monitoring and evaluating community coalitions. Health Education Research: Theory and Practice, 8(3), 403-416. Fukuyama, F. (1995). Trust: The social virtues and the creation of prosperity. New York, NY: The Free Press. Goodman, R., Speers, M., McLeroy, K., Fawcett, S., Kegler, M., Parker, E., Smith, S., Sterling, T., & Wallerstein, N. (1998). An initial attempt at identifying and defining the dimensions of community capacity to provide a basis for measurement. Health Education and Behavior. Green, L., & Kreuter, M. (1991). Health promotion planning: An educational and environmental approach, 2nd ed. Mountain View, CA: Mayfield. Hawkins, D. & Catalano, R. (1992). Communities that care. San Francisco, CA: Jossey-Bass. Herrnstein, R., & Murray, C. (1994). The bell curve: Intelligence and class in American life. New York, NY: Free Press. Himmelman, A.T. (1992). Communities working collaboratively for a change. (Monograph available from the author, 1406 West Lake, Suite 209, Minneapolis, MN 55408). Institute of Medicine. (1988). The future of public health. Washington, D.C.: National Academy Press. Institute of Medicine. (1997). Committee on Using Performance Monitoring to Improve Community Health: Durch, J., Bailey, L., & Stoto, M. (Eds). Improving health in the community: A role for performance monitoring. Washington, DC: National Academy Press. Kaplan, G., Pamuk, E., Lynch, J., Cohen, R., & Balfour, J. (1996). Income inequality and mortality in the United States. British Medical Journal, 312, 999-1003. Kawachi, I., Kennedy, B., Lochner, K., & Prothrow-Stith, D. (1997). Social capital, income inequality, and mortality. American Journal of Public Health, 87(9), 1484-1490. Kehrer, B., & Wolin, C. (1979). Impact of income maintenance on low birthweight: Evidence from the Gary experiment. Journal of Human Resources, 14 , 435-462. Kretzman, J., & McKnight, J. (1993). Building communities from the inside out: A path toward finding and mobilizing a community's assets. Chicago: ACTA Publications. Lappe, F., & DuBois, P. (1994). The quickening of America: Rebuilding our nation, remaking our lives. San Francisco, CA: Jossey-Bass. Marmot, M., Smith, G., Stansfield, S., Patel, C., North, F., Head, J., White, I., Brunner, E., & Feeney, A. (1991). Health inequality among British civil servants: The Whitehall II study. The Lancet, 337 (8), 1387-1393. Orfield, M. (1997). Metropolitics: A regional agenda for community and stability. Washington, DC: Brookings Institution Press. Paine, A., Vincent, M. , Fawcett, S., Campuzano, M., Harris, K., Lewis, R., Williams, E., & Fisher, J. (1996). Replicating a community-based initiative for the prevention of adolescent pregnancy: From South Carolina to Kansas. Family and Community Health, 19(1), 14-30. Putnam, R. (1995). Bowling alone: America's declining social capital. Journal of Democracy, 6(1), 64-78. Putnam, R. (1993). Making democracy work. Princeton, NJ: Princeton University Press. Raudenbusch, S. (1997). Toward a science of ecological assessment: A model for the systematic social observation of neighborhoods. Unpublished paper presented at the annual meeting of the American Society of Criminology, San Diego, November, 1997. Rothman, J. (Ed.) (1999). Reflections on community organization: Enduring themes and critical issues. Itasca, IL: F.E. Peacock Publishers. Ryan, W. (1971). Blaming the victim. New York, NY: Vintage Books. Sclove, R. (1995). Democracy and technology. New York, NY: Guilford Press. Walzer, M. (1998). Pluralism and social democracy. Dissent, Winter issue, 47-53. World Health Organization. (1987). Ottawa charter for health promotion. Health Promotion, 1-4, iii-v.
Wilson, W. (1996). When work disappears: The world of the new urban poor. New York, NY: Knopf. Wilkinson, R. (1996). Unhealthy societies: The afflictions of inequality. London, England: Routledge. Yin, R. (1988). Case study research: Design and methods. Newbury Park, CA: Sage.